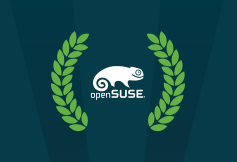 FOSDEM is free and our openSUSE beer is 1€ so there is no excuse not to come see us and talk shop or talk about beer; we’ll have experts in both at our booth. The buses will leave Nuremberg at 11 a.m. sharp on Friday, Jan. 30, for the event, so don’t be late otherwise you might need to rely on your thumb to get you to Brussels. The return trip to Nuremberg will leave FOSDEM at 6:30 p.m. and get everyone back home just in time for the kickoff of the SuperBowl. Anyone who has not confirmed they have a seat on the bus should contact mhaefner@suse.de. See you at FOSDEM next week!